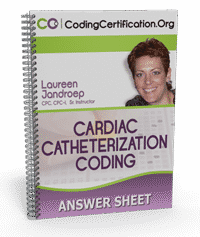 Coding Cardiac Catheterization. First of all what is it? It is a diagnostic procedure. Being the visual learner I am I had to put this in a chart. Fill out the form on the right to instantly download this time-saving chart and answer sheet.